Make sure you have a correctly compiled *.hex file at hand. 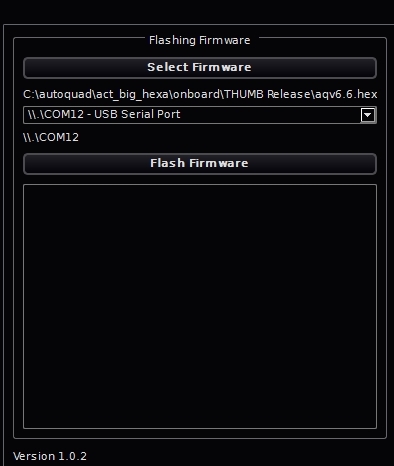 In the “Flashing Firmware” part of the screen select your firmware you want to flash, select the appropriate COM port and click on “Flash Firmware”. 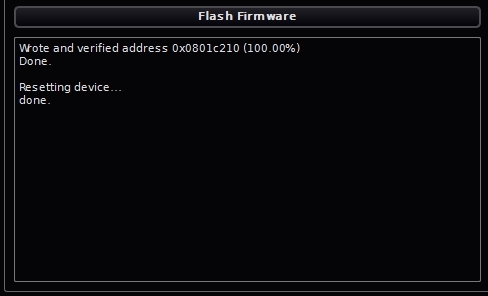 In the message field above the Version number you should see the process of the upload, followed by a confirmation that flashing was performed successfully and the ESC will be rebooted. 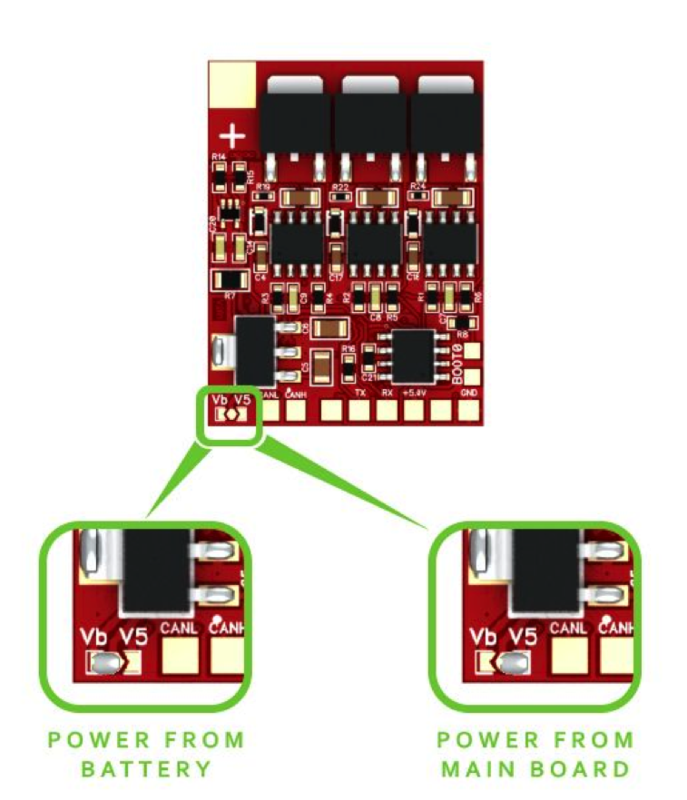 To make sure everything went fine, disconnect the ESC from the power source and the FTDI/USB, close and reopen the QGC and connect your ESC again. Open the “ESC32 Settings” tab, click on “Connect” and see if all values and settings are fine. If you prefer a CLI (command line interface) via Putty or similar, follow the instructions in Max Levine´s forum post. You can now proceed with the ESC32 parameter configuration. This page was created on 18-Jun-12 by menno. Last modified on 4-Aug-15 by jussi.